*Stainless Steel exterior/ aluminium interior. 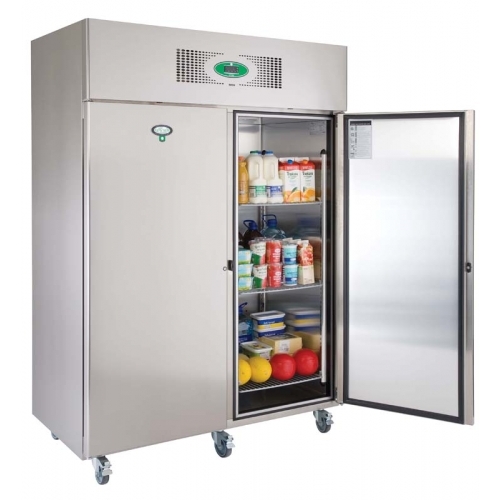 *Fully adjustable 2/1 gastronorm shelving - 3 supplied per door. EcoPro Cabinets are built to out perform and out last other products. 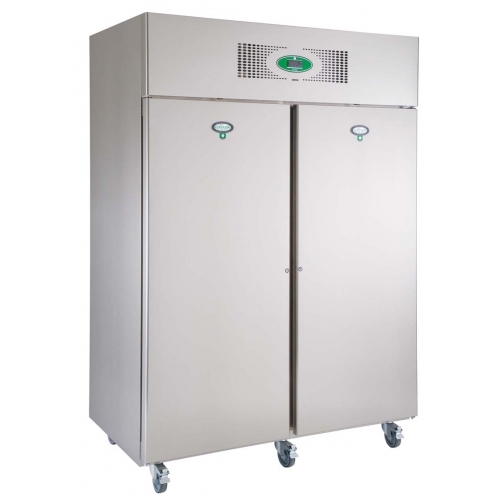 Their combination of cutting edge refrigeration technology, low running costs and reliability make them the first choice for the foodservice professional. Every stage from design, manufacture, cabinet running costs, right through to recycling is focused on saving you money whilst at the same time saving miles and miles worth of carbon emissions but never compromising on our commitment to food safety. Meet your sustainability targets and reduce your running costs with the energy efficient, low carbon, cheap to run EcoPro range. Please download a copy of the EcoPro PDF here for further information.